• Level of merit-based college scholarships: ranging from $40,000 to $110,000 for all graduates since 2007. 100% acceptance rate to 4-year colleges in America and overseas. • Quality of Curriculum: Cortona Academy is not limited by books/courses approved by the County or State. We use some of the most well-known courses in the country! This, alone, catapults the college application process and insures future, college success. • Quality of Accredited Courses: The accreditation and LEVEL of Cortona courses is superior, due to the quality and level of those teaching these courses. These courses generally transfer not just to local public and private schools, but to those nation-wide and world-wide schools. Courses offered include general Science, earth science, biology, chemistry, physics, plus all Humanities courses, electives, and math courses ranging from Basic Math through college-level Calculus, plus college, freshman year humanities courses. A.P. Courses and tests offered for most subjects. Languages taught include Spanish, French, Arabic, Mandarin, and Italian. • Quality of Professors: Most have PhD’s in their subject-area fields. They not only teach, but mentor students, a crucial “positive” for college admissions departments. • Stability of Staff: Cortona Academy has nearly a zero percent turn-over rate, with most professors having been on staff from five to 15 years! 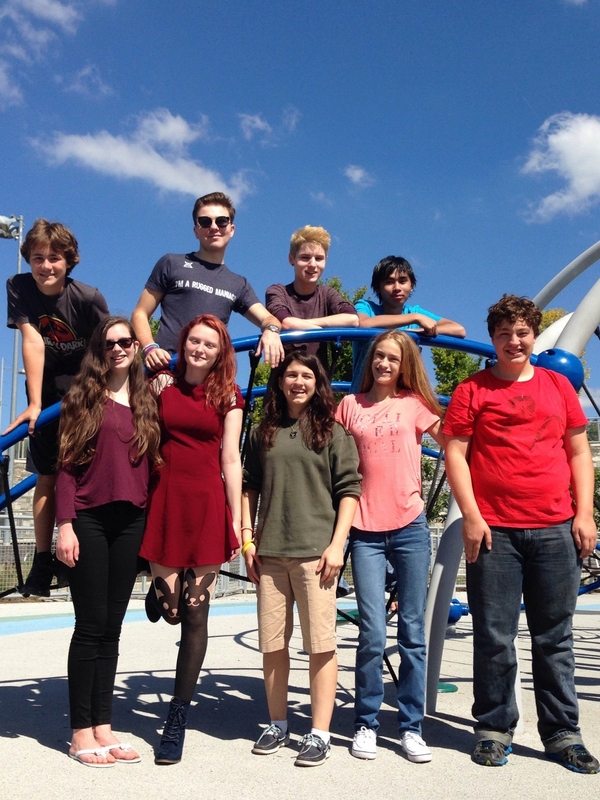 They are intelligent, great teachers, and absolutely committed to Cortona’s mission. • Venues of Classes: 1/1 (Oxford-like) or Group Classes averaging four per class! This revolutionary approach insures individualized help when needed, or acceleration when students choose early high school completion or Dual Enrollment. 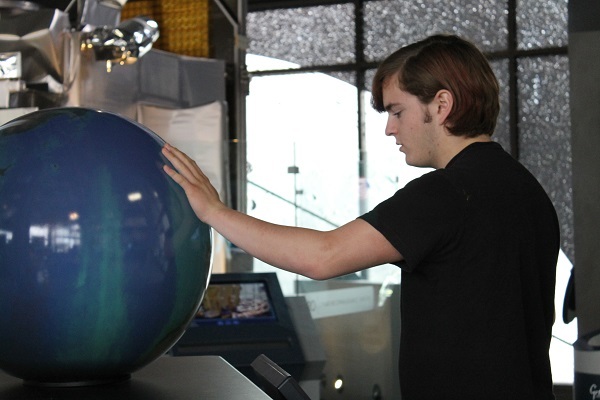 • The campus has a 5,000 square foor “Great Room” which contains Cortona’s nine, 3D printers that students may use at their leisure, as well as for competitions and school projects, or for the Art, Music, and Design program. • Sports Pavilion – Cortona Academy students use an adjacent three million dollar AstroTurf sports venue for soccer, basketball, baseball, and tennis. Football and Basketball teams are available to all Cortona students. These teams compete in Northern Virginia with other private schools. • Dual Enrollment: When properly prepared, Cortona students enjoy this option. Cortona Academy works with BOTH local, 4-year colleges, as well as with NOVA and other, local community colleges. • Education of the Future: Cortona’s Invention and Computer Labs are essential to educating students who will actually have jobs when they graduate from college! • Project-based curriculum: All students are mentored for both individual and group projects, with professionals in their specific fields of study. • Rolling Admissions: Because of Cortona’s unique flexibility, students may enter at any time during the school year, especially, for students needing GPA improvement, more individualized help, to accelerate, or to gain time for extracurricular activities or internships, which have now become extremely important for the high school resumes, transcripts, and college applications. • HTS-3 Study & Organization Skills: Taught in all classes, from grades 6 – 12, these are Cortona’s own systems which catapult students through homework assignments, as well as ease the stress of tests. In addition, these systems are responsible for student success on the SATs and ACTs. Cortona graduates credit HTS-3 for both college and professional school success! • Flexible Schedules: Parents and students choose professors, courses, and times of day for classes with special consideration given for family emergencies, travel and special camps that may occur during the regular school year, such as Space Academy or internships at colleges or universities. • Flexible test dates for all courses: Exams are ONLY given when the student is ready for them, when they have thoroughly learned and demonstrated mastery of the material. 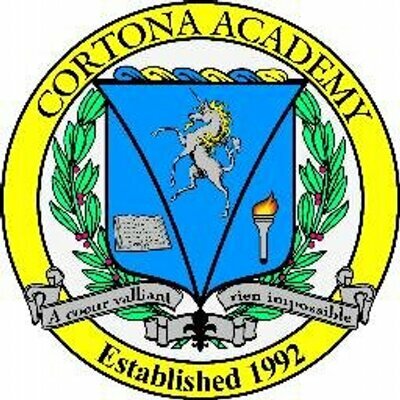 Cortona Academy prides itself in educating ALL students for excellence, not just to get them through courses. • Second Chances: So that all students have an opportunity to achieve superior grades, second chances are always given on exams, after meeting 1/1 with the professor. This insures that students work to learn, not just to pass tests. This is of major importance to develop proper attitudes toward learning for future colleges and professional schools. • Positive, Student/Teacher Relationships: This is the CORE of any program, but at Cortona Academy, we provide essential, on-going, formal and informal sessions between students and their professors, during school hours, field trips, and monthly banquets.